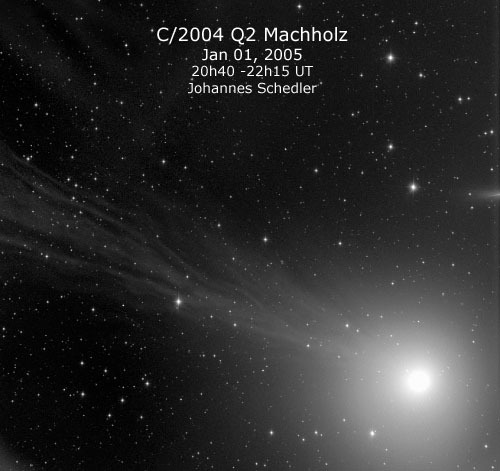 The comet Machholz Q2 is heading north, now near its closest approach to the sun, shining at approx mag 4.1. 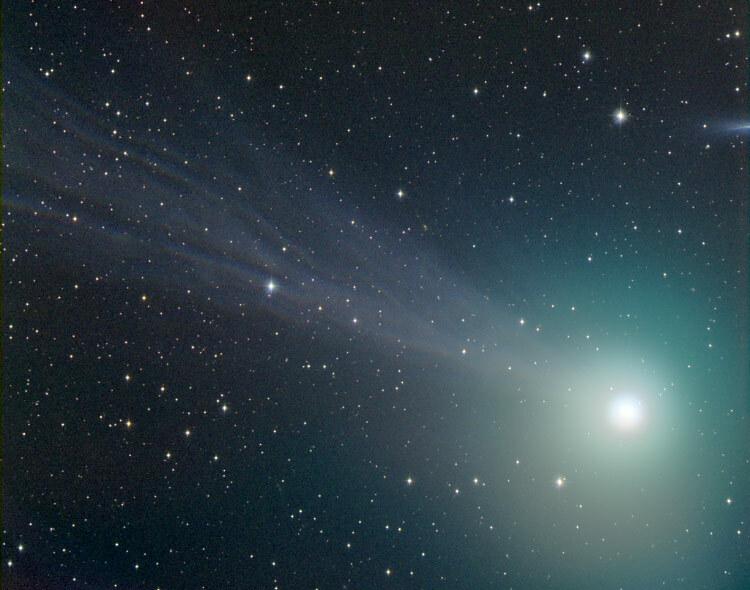 The ion tail to the north-east still is faint but shows internal structure. Its lenght in this image measures 1.2 degree. Below you find a 32 frame animation over approx. 2 hours. Date Jan 01, 2005 20:40-22:40 UT.